This week Texas Right to Life announced their pro-life scorecard to inform Texans on where legislators stand on various life issues. I am proud to have received a 100. We passed several additional pro-life matters during the 85th session including the dismemberment abortion ban, patient consent for DNR orders and pro-life health insurance reforms. 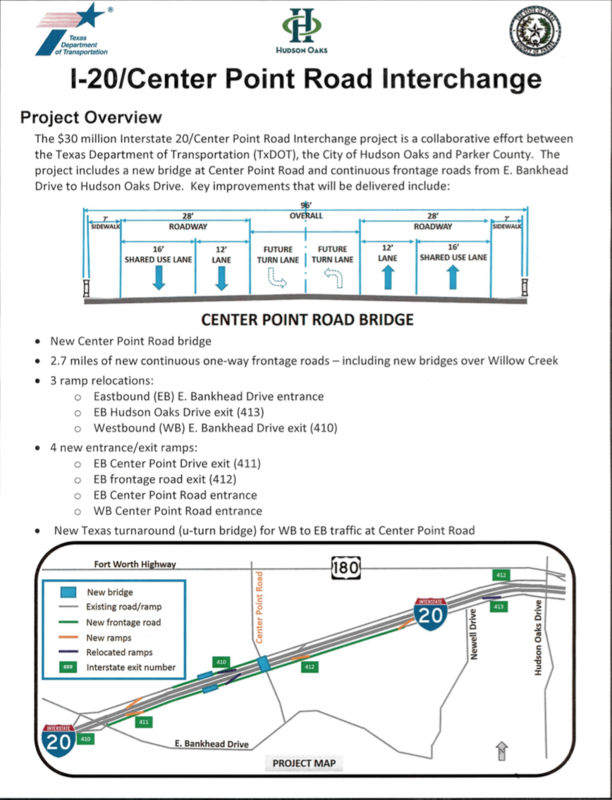 The $30 million Interstate 20/Center Point Road Interchange project is a collaborative effort between Texas Department of Transportation (TxDOT), the City of Hudson Oaks and Parker County. Construction on the project is to begin in this October. Below is a one pager with information on the project. 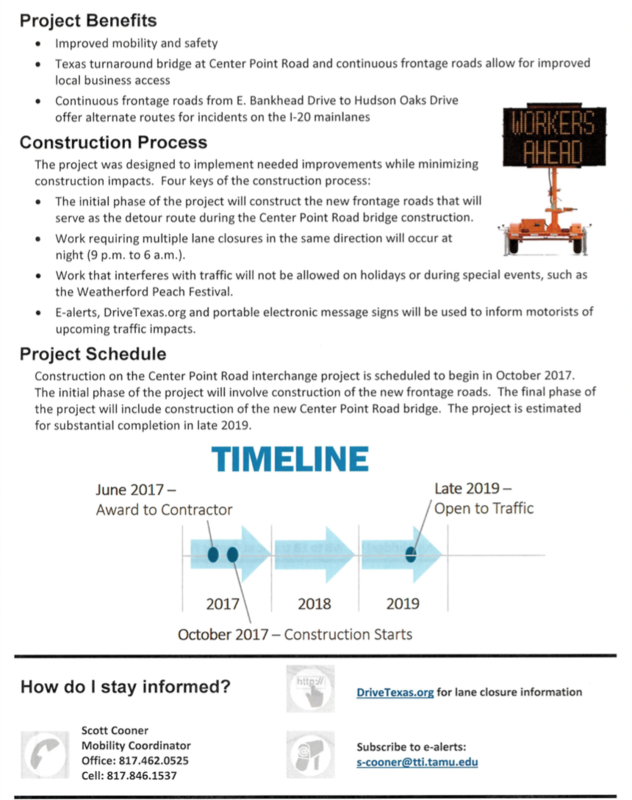 My office will remain informed on the project timeline and impact to our community as we move forward. Now that Texas is through the immediate emergency response stage for Hurricane Harvey, we are assessing the huge toll on the Gulf Coast of Texas. This disaster has not only impacted the coast but the entire state and nation. Rough estimates put the devastation at $190 billion – losses to individual Texans, Texas businesses, and Texas communities. Governor Abbott has named 60 Texas counties in the disaster declaration. This encompasses 42% of the state’s population and 42% of the market value of property in the state and 58% of the state’s industrial property. Over 300 school campuses sustained damage with 52 remaining closed. We have a very long journey ahead as a state. Part of chairing the Homeland Security and Public Safety committee in the Texas House is overseeing Texas Division of Emergency Management. During the interim my Committee will be meeting to discuss what we have learned after responding to Harvey and making sure we have the best practices in place when coordinating between the municipalities, state agencies and counties during a natural disaster.